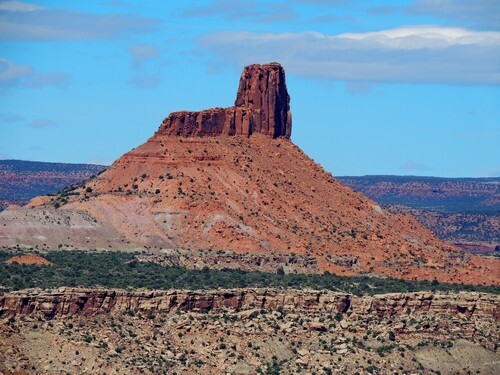 ​Jacob’s Chair resembles a gigantic straight-backed chair sitting atop a mesa. 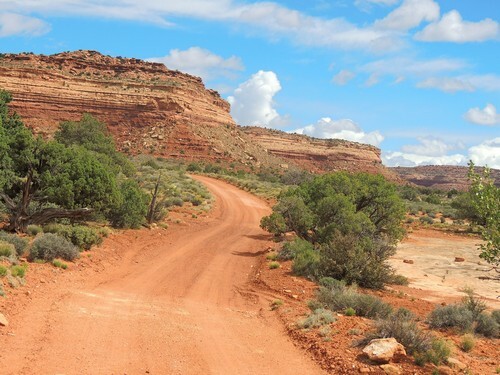 It was named after Jacob Adams, a well-known cattleman in the area who lost his life while trying to cross nearby White Creek too soon after a storm. 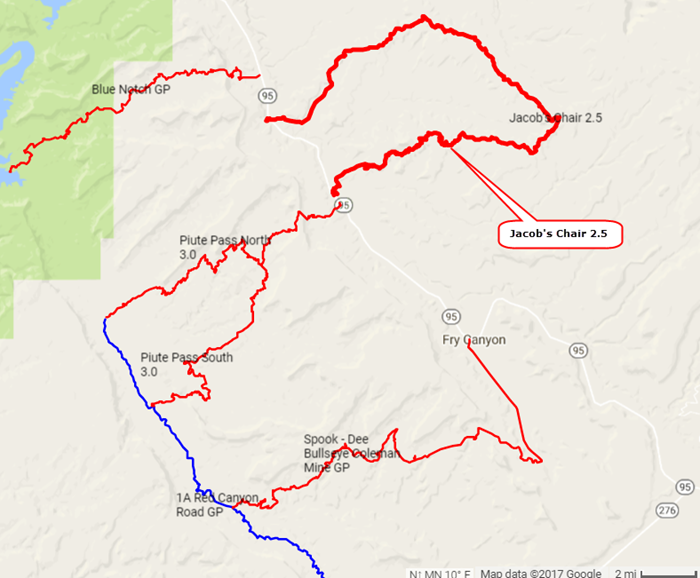 This trail starts on Highway 95, circles behind Jacob's Chair then returns to Highway 95 five miles from the start. We did this trail in a clockwise direction so will describe it that way. This is a fairly slow trail because there are many gullies running across the road. These slow a person down and throw the Jeep from side to side. Took 4 - 4.5 hours. There is a GPS - gpx file at the bottom of the page. 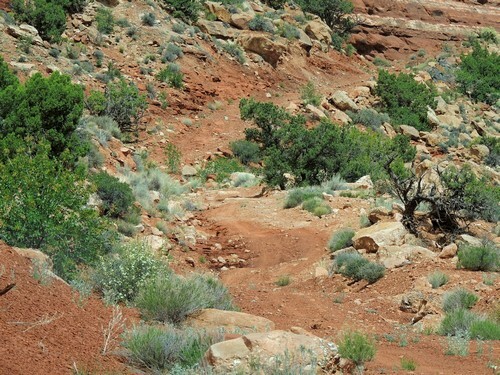 The trail starts by going up Short Canyon - only for a short distance of course. 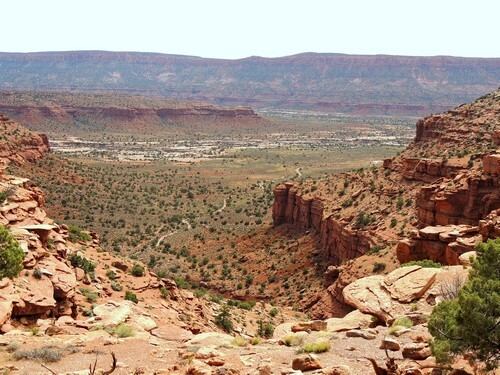 It then climbs out of the canyon to the top of a small mesa. 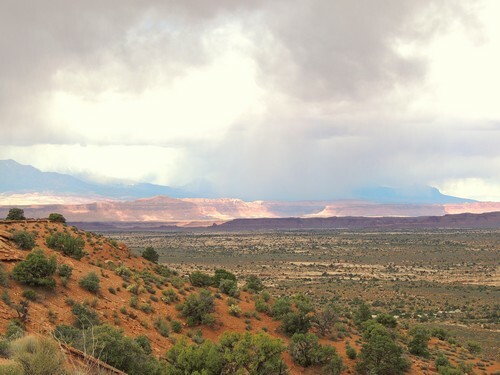 ​Much of the trail is high enough to offer views in all directions. Even the areas with trees are sparse enough to allow an open feeling. 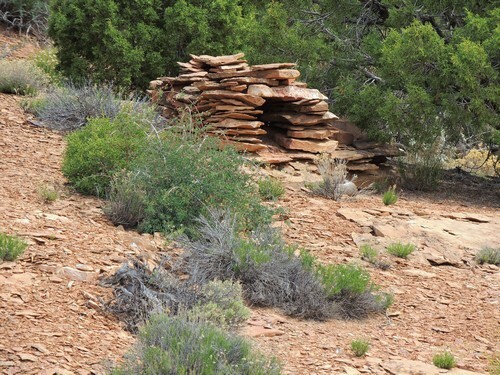 There is an old mining cabin along the trail. We do not know the history of it, but it appears to have a half dozen bedrooms and a kitchen. 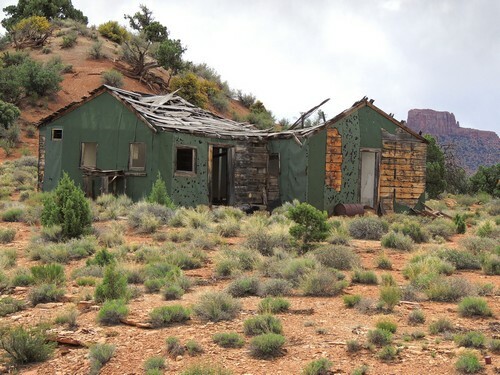 Probably where the miners lived. ​Looked to us like they had a wood fired pizza oven out back! 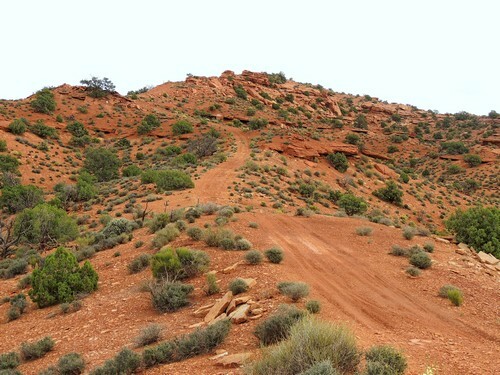 After the road runs under Jacob's Chair it drops down from high ground and returns to Highway 95. 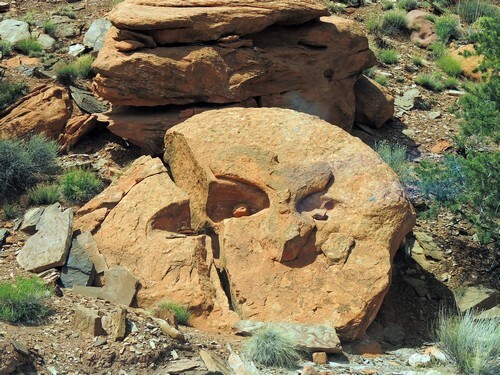 We think Jacob's Chair was used as a resting spot for aliens when they came to rescue ET. It appears they left a bust of him behind.